Q 1: How to Fix vcpu-0 Error? I get this error every time try to power on the mac os x 10.14 on VMware!! Answer: Exit the VMware, then visit the place where you have saved the Virtual Machine. Find their the VMX File and open that with Notepad. Once you opened the Notepad, scroll down to the end and paste (smc.version=”0″). Q 2: While Creating a Virtual Machine, I do not see Mac OS X, How to Enable it? In order to Enable Mac OS X versions on VMware, you have to Install the Unblocker. Once you downloaded the unblocker, extract that and find there a cmd file by the name of win-install.cmd, right-click on it and select Run as Administrator. Q 3: How to FIX mac 10.14 is not installed on this virtual machine. Insert the installer disc and click “Restart VM” (Outside the window) EFI VMware Virtual SATA Hard Drive (0.0) …. unsuccessful? To fix this error You have to change the virtual machine disk, whether it full, not located or has been damaged. Q 4: How to fix The CPU has been disabled by the guest operating system. Power off or reset the virtual machine? You have to enable the Virtualization from Bios. First, find your computer bios key and when visited the Bios, head over to the advanced tab and enable the Virtualization. Q 5: How to Fix filesystem is not formatted in APFS? 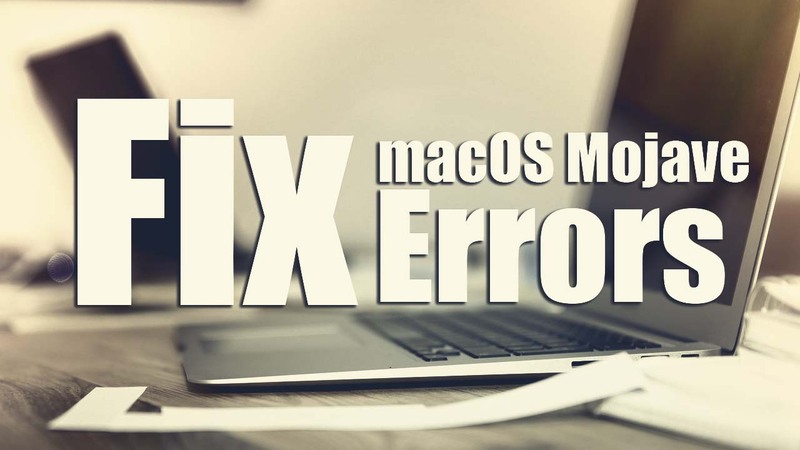 To fix this error add new Hard Disk in VMware, And format it in Disk Utility on your macOS. Q 7: How to Fix Black Screen with Apple Logo on VMware Workstation Pro? Check the setting (50% of RAM, CPU) and Change Guest Version to an older version. Q 8: will macOS Mojave work in Dell XPS 15 9560 4k, with the 4k screen, the text is too small? Yes, it will work, just Install VMware tools to fix the screen resolution.